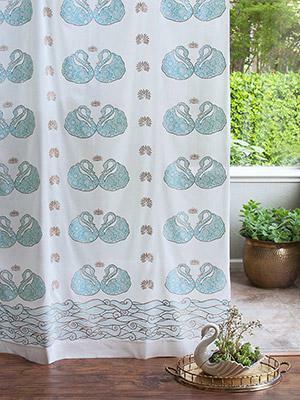 A mid-century inspired swan print that ripples with romance & retro glam. 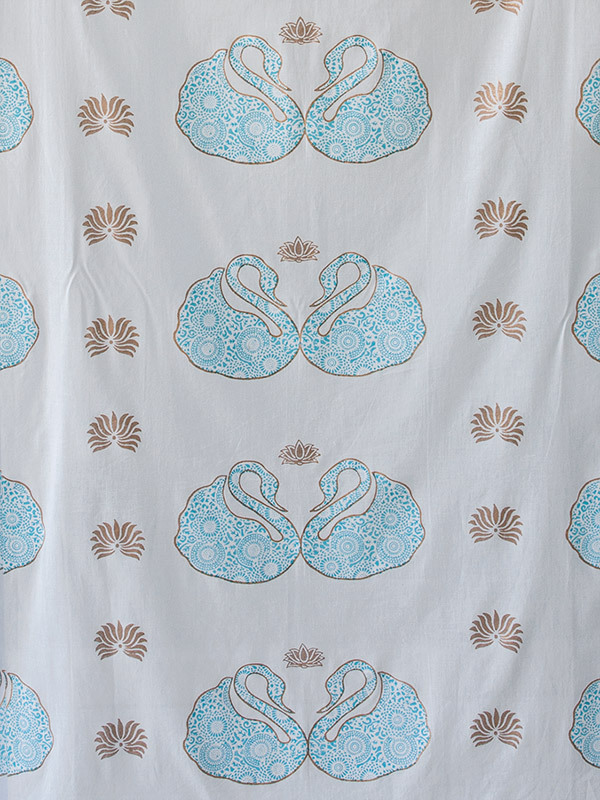 This vintage block print features two intricately embellished azure blue swans, outlined in gold, hearts touching, serenely floating among golden water lily & palm medallions, over a river of swirling azure water. Finished with a delicate hand beaded trim. 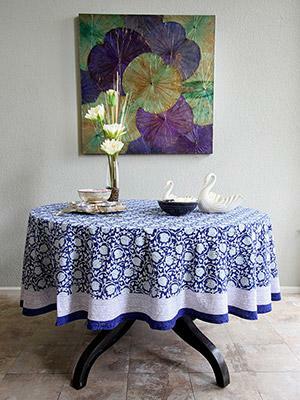 Use the 3-inch rod pocket for easy hanging. 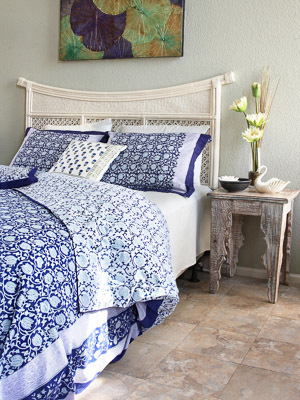 Complete the look when paired with our coordinating Curtain Panel, Kitchen Curtain, or Shower Curtain. 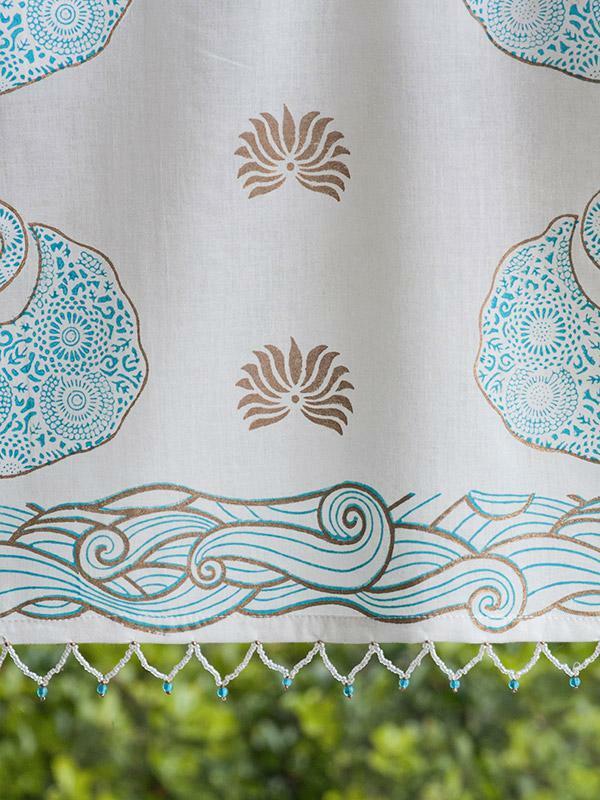 Printed on cotton voile with wonderful light filtering properties. Panels sold separately. 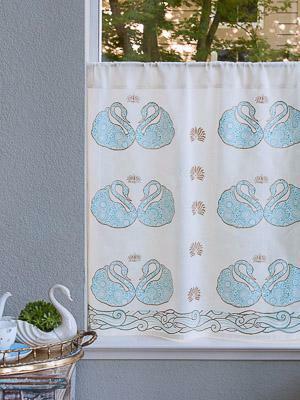 A pretty & practical choice for a half-curtain where privacy – AND light – is needed. 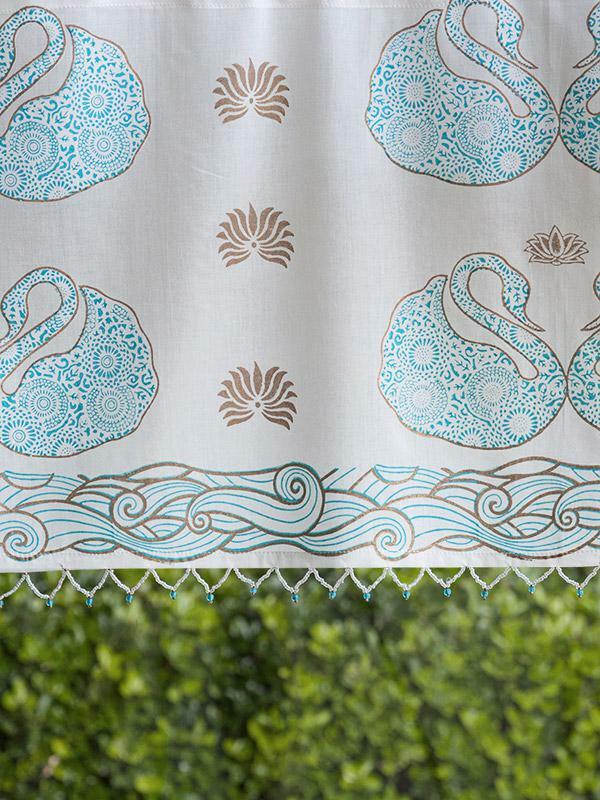 Our Swan Lake print valance features a retro spiral print in azure blue, outlined in silver & trimmed with our signature ... [ read more ] hand beaded hem details. 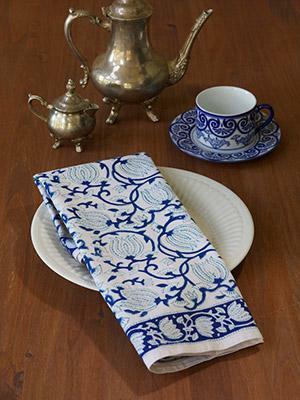 Ready to hang alone or combine with matching kitchen curtains for a classic café look. 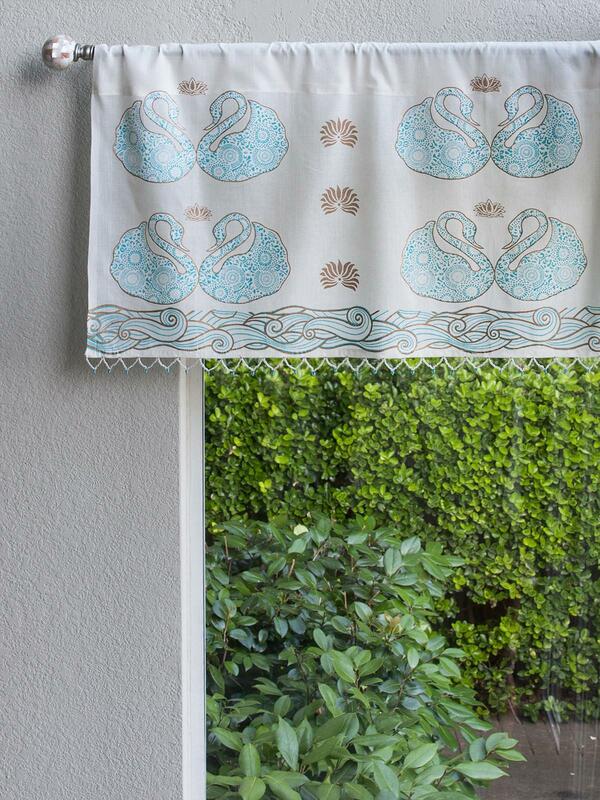 The window valance is 46-inches wide and 17-inches long. Each valance is printed on preshrunk, superior grade, soft cotton voile and is exquisitely finished with a delicate, hand beaded trim at the bottom and a 3-inch rod pocket on the top for easy hanging.